Having a perfectly flat stomach all the time just isn’t normal, a little ‘bump’ is unavoidable every single day. While most people don’t like how it looks, it is sometimes a cause of physical discomfort. Bloating is when your belly feels swollen or enlarged after eating. It is usually caused by natural processes during digestion and is typically triggered by the accumulation of fluid or production of gas in the body. 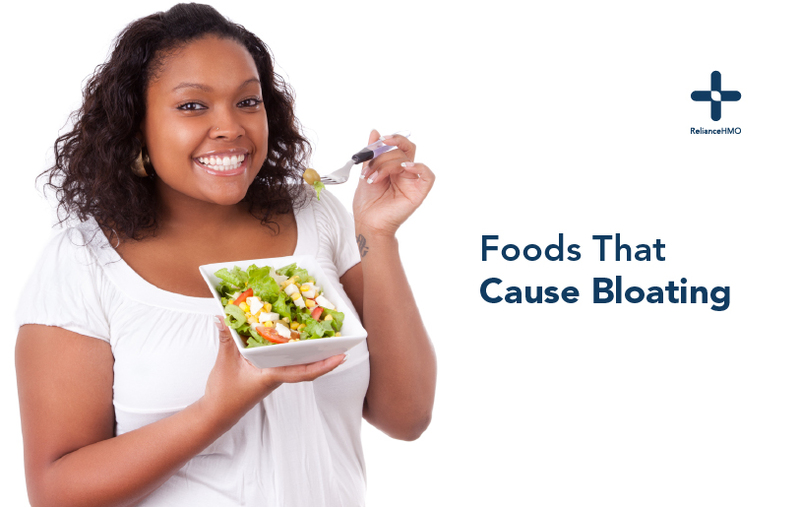 While there are the usual suspects, most people regularly eat some of the most unsuspecting foods that cause bloating. Dairy products like milk, cheese, yogurt and butter are highly nutritious, as well as an excellent source of protein and calcium. However, a large portion of the world’s population can’t break down lactose, the sugar found in milk. Beans contain sugars called alpha-galactosides, which belong to a group of carbs called FODMAPs. FODMAPs escape digestion and get fermented by gut bacteria producing gas as a by-product. This causes discomfort, with symptoms like bloating, flatulence, and diarrhea for some people. Beer is a carbonated beverage made from sources of fermented carbs like barley, maize, wheat and rice, along with some yeast and water. Carbonated drinks can cause bloating, due to the high amounts of carbon dioxide they contain. When you consume carbonated drinks , you end up swallowing large amounts of this gas. Sweeteners can also cause gas and bloating. Sorbitol, an artificial sweetener, can’t be digested. Fructose, a natural sugar added to many processed foods, is difficult for many people to digest.